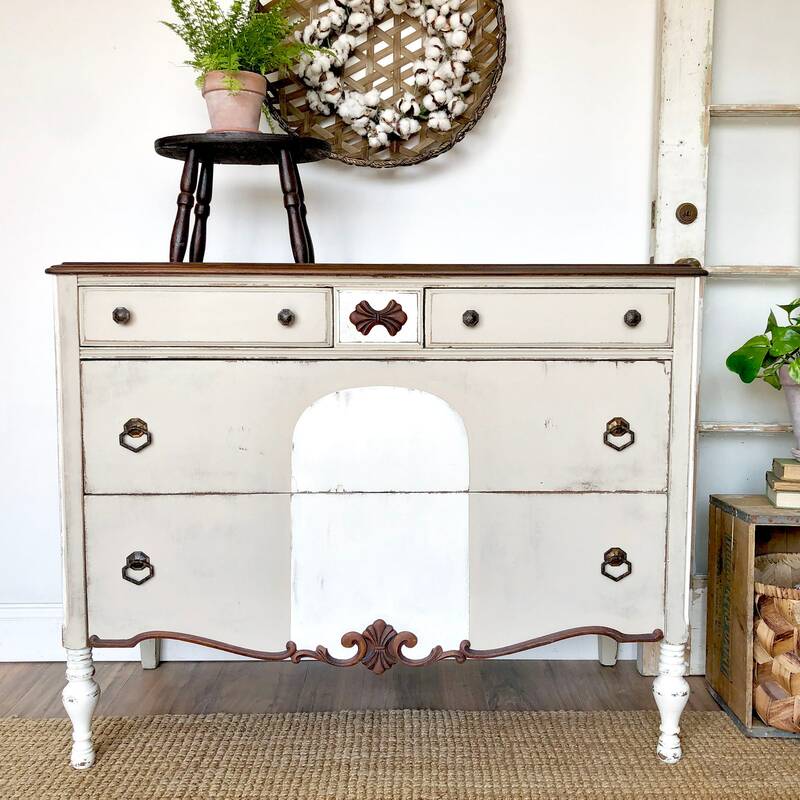 Incorporate this stunning vanity dresser into any bedroom or space where extra storage is needed. 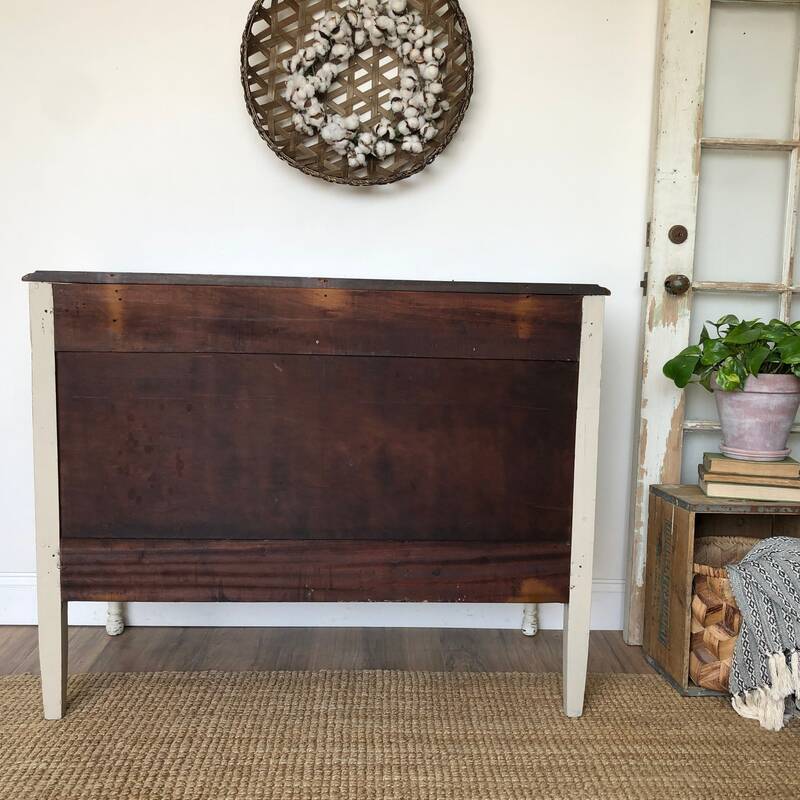 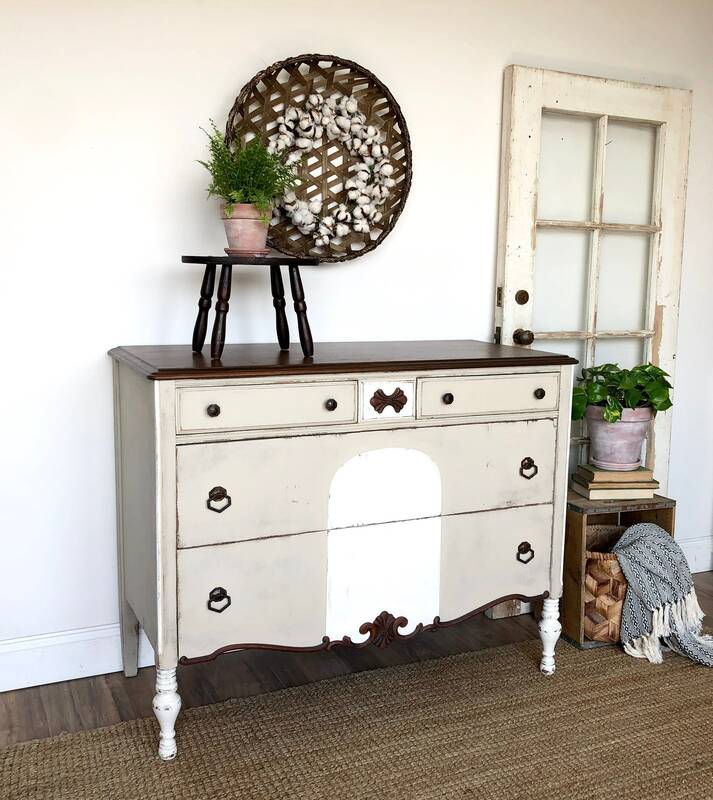 The ornate detail and legs on this depression era chest make it unique - 1930s era furniture built well. 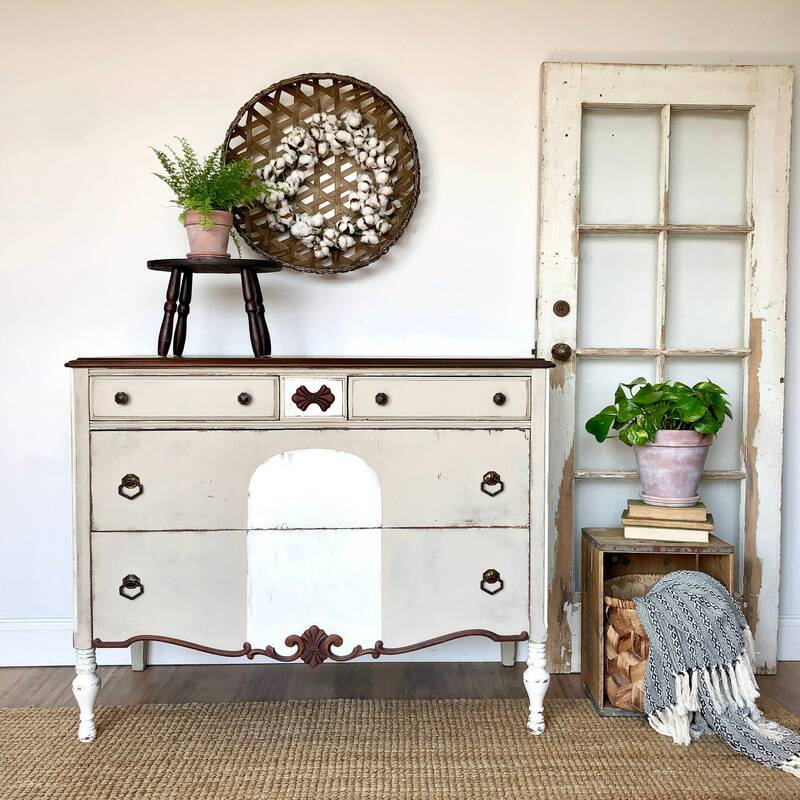 The vintage look of this chest adds interest to your country or farmhouse interior. 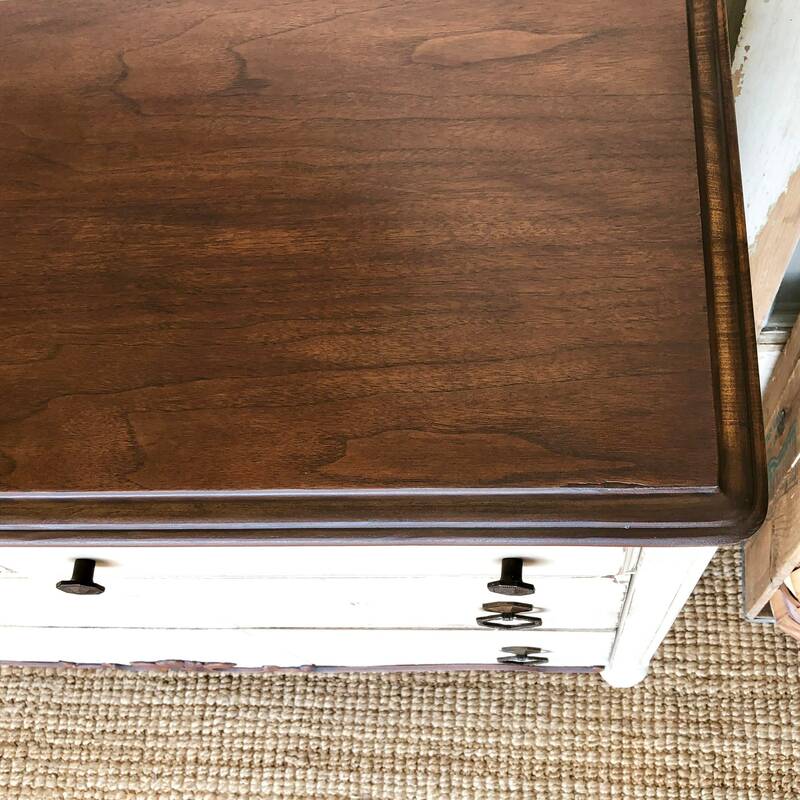 It is excellent to mix such pieces with what you already have. 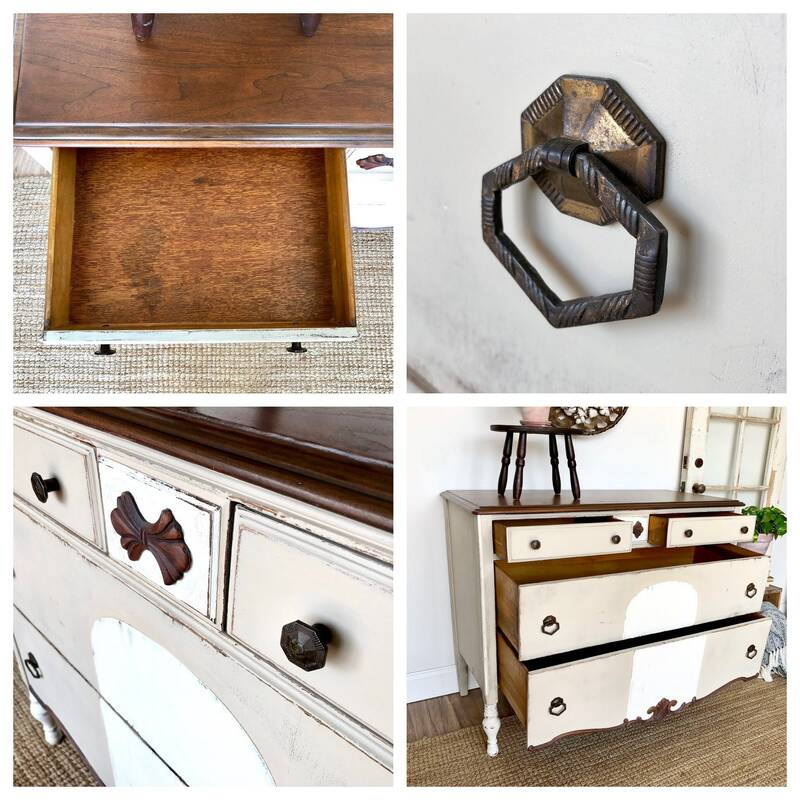 • 4 Drawers for lots of storage space. 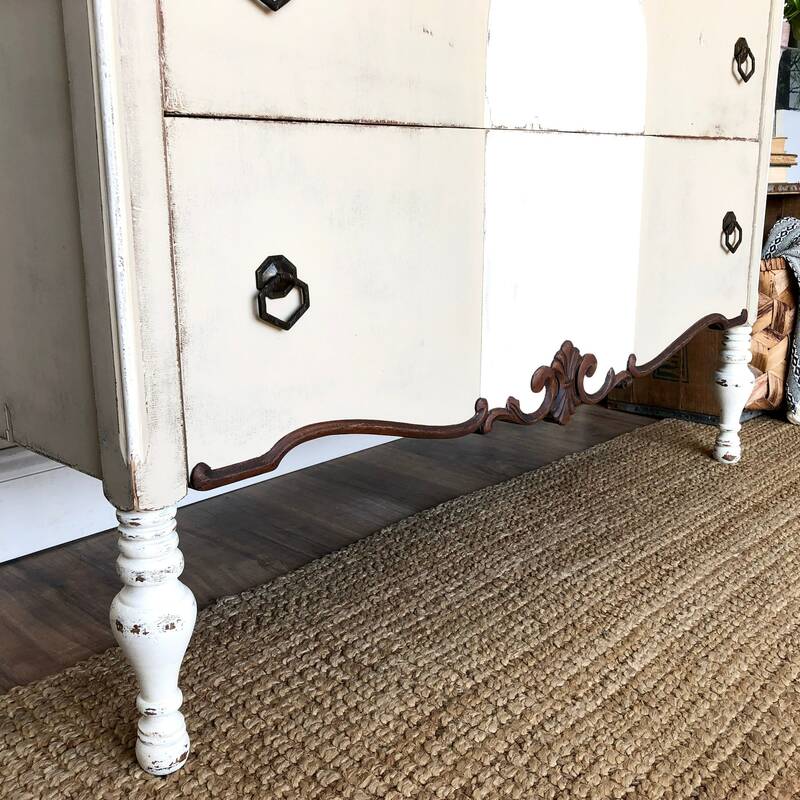 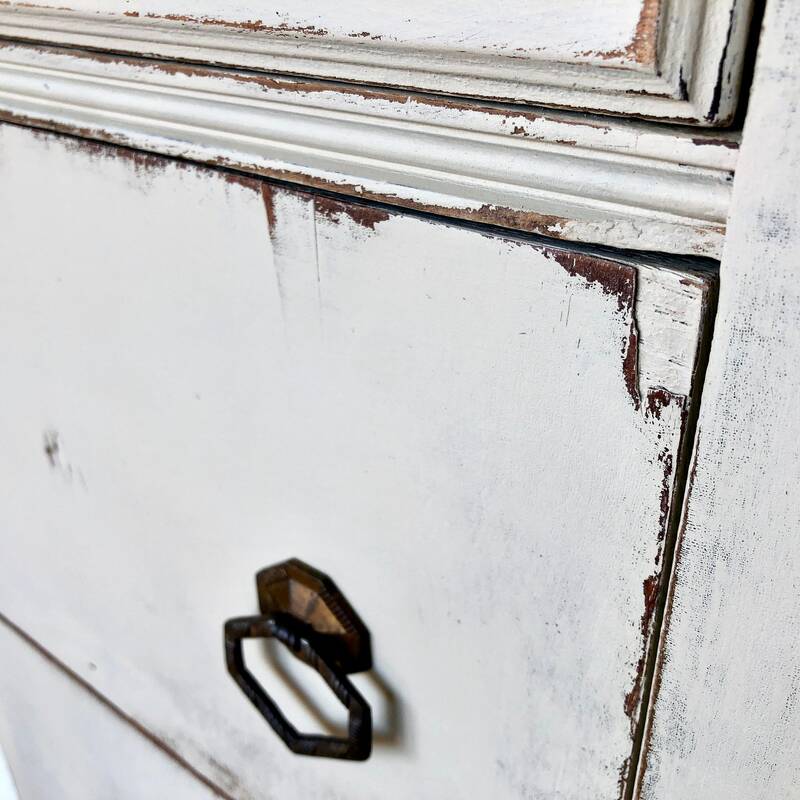 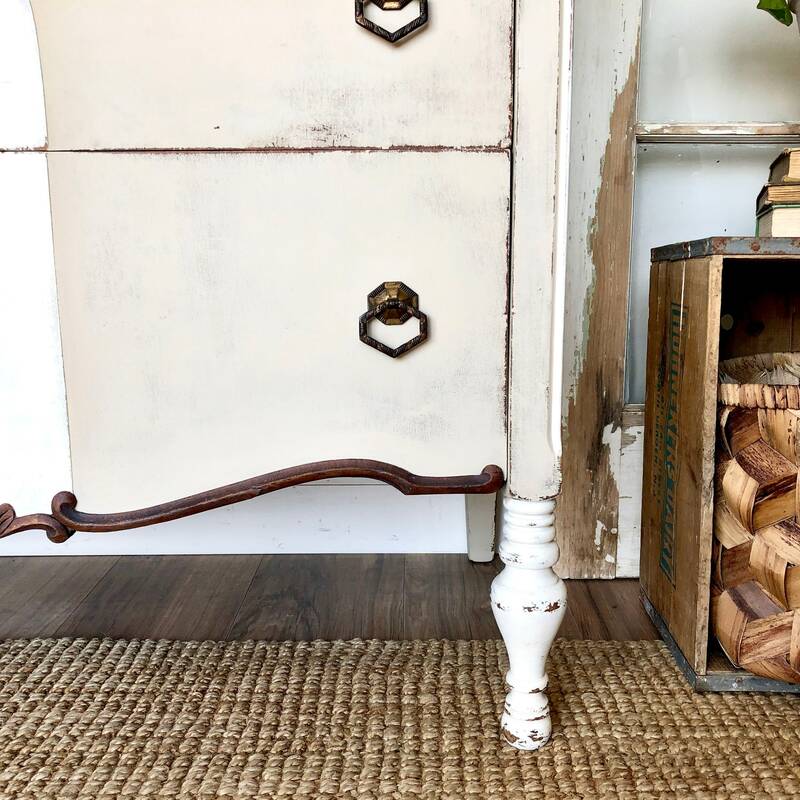 Hand-Painted it with a creamy off white with beige undertones that was distressed to enhance the vintage patina of this piece. 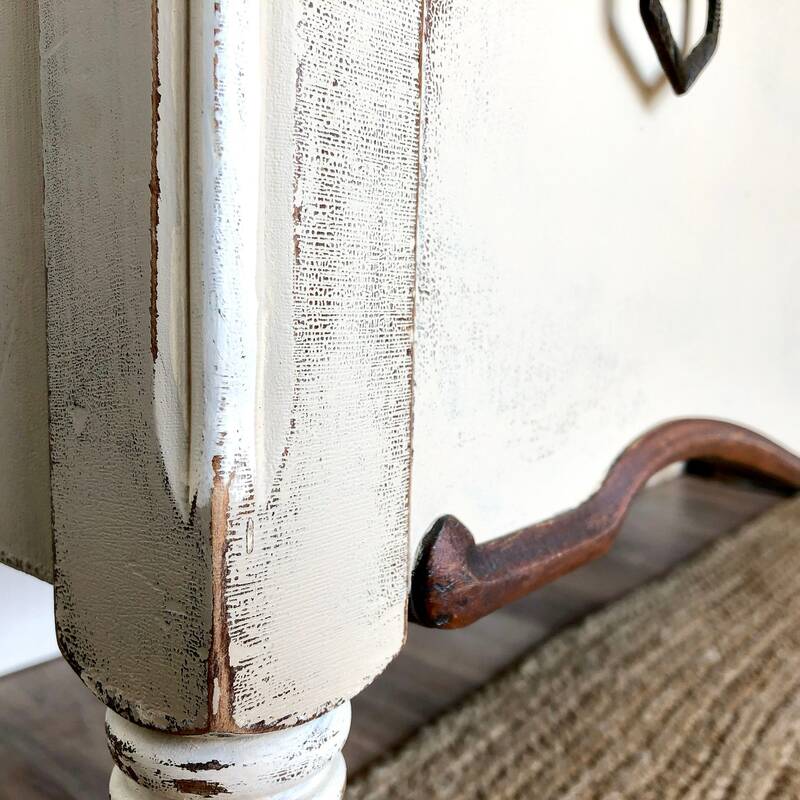 The brown wood color peeks through the distressed areas, and lots of the original trim detail and top was highlighted with a dark stain.